Shannon McWilliam in action. Picture courtesy of Scottish Golf. 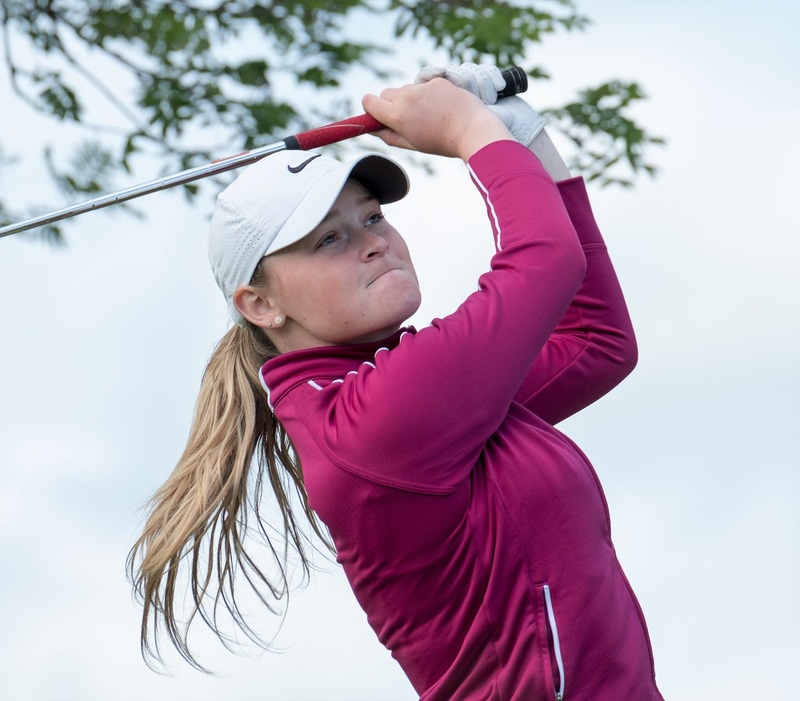 The seedings have worked out perfectly in the Scottish U18 girls championship match-play at Scotscraig Golf Club, Fife. All four top seeds are through to tomorrow's semi-finals in which No 1 Louise Duncan (West Kilbride) plays No 4 Hannah Darling (Broomieknowe), while No 3 Shannon McWilliam (Aboyne) plays Jillian Farrell, the No 2 seed from Cardross. In this morning's quarter-finals, McWilliam was a 6 and 5 winner over the other North-east player in the last eight, Jasmine Mackintosh (Hazlehead), the sixth seed. Said Shannon later: "To be fair, we both didn't play our best golf! I just stuck to par golf but I have two doubles and finished two over on the 13th!" "Getting to the semi-finals equals my best performance in this competition. That year (2016) I was beaten by Fiona Liddell, who then went on to win the Scottish girls' title." Duncan won by 5 and 4 against Swiss-based Cameron Neilson, the No 9 qualifier, and Darling was a 3 and 1 winner over the No 5 qualifier, Kirsty Brodie (Strathmore). L Duncan (West Kilbride) bt C Neilson (Switzerland) 5 and 4. H Darling (Broomieknowe) bt K Brodie (Strathmore) 3 and 1. S McWilliam (Aboyne) bt J Mackintosh (Hazlehead) 6 and 5. J Farrell (Cardross) bt M Richmond (Strathaven) 2 and 1. A Hunter (USA) bt Z Morton (Auchterarder) 6 and 4. E Hynd (Balbirnie Park) bt A Mitchell (Strathmore) 3 and 2. E Caton (St Regulus Ladies) bt A Brannock (Castle Douglas) 4 and 3. C McLaughlin (West Kilbride) bt E Henderson (Loretto School) 3 and 2.